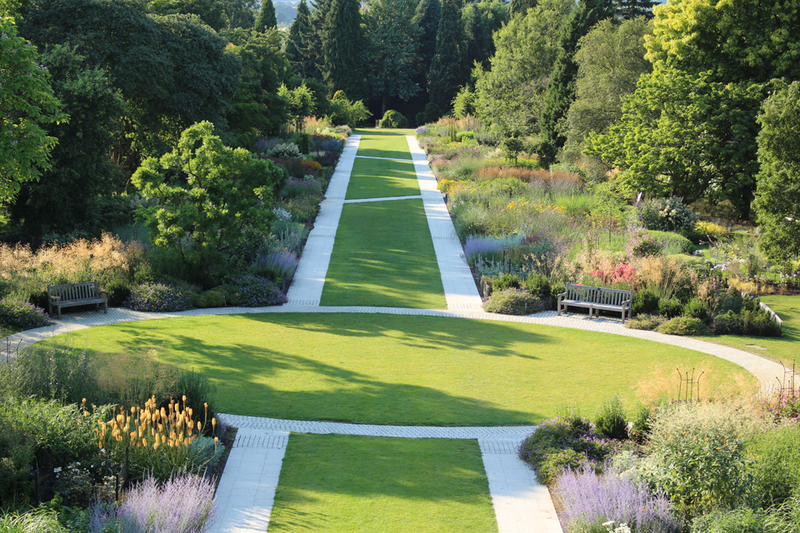 Centenary Border was originally planted in 1964 by Sir Harold to celebrate the 100th anniversary of the founding of the Winchester nursery by his grandfather. It was planted with alternating 22 yard bays, to reflect Sir Harold's interest in cricket. It was decided in 2010 to develop a more suitable border and infrastructure to open up the border all year round. Centenary Border is now the longest double mixed border in the country and was officially opened by HRH Duchess of Cornwall in 2013.